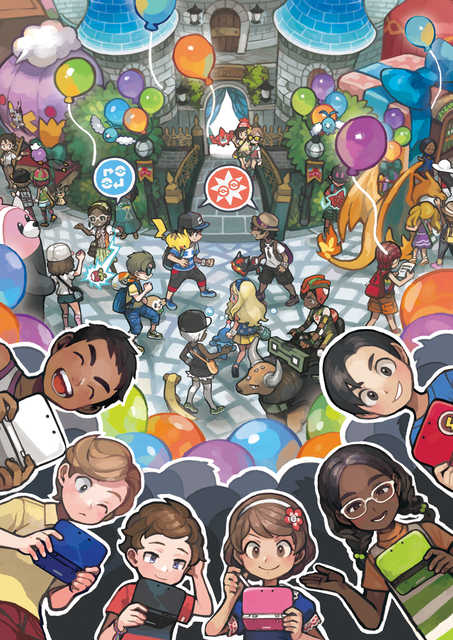 The Festival Plaza can be accessed via the game menu and it's the place where all communication features such as battling and trading can be found. The Plaza is owned by Trial Captain Sophocles. Up to 50 players you've met via communications will appear here. Players with the oldest update time will be deleted from the list as new players appear in your Festival Plaza. You can register up to 50 players as your VIPs. Players registered as VIP will not be deleted from the list unless done so manually. Speak to a visitor, and select "I'll register you as my VIP!" to register a person in this list. Players who are added to this list will not appear in your Festival Plaza, and you will not receive battle or trade requests from them. You can add players to this list when you receive battle or trade requests from them. You can register up to a 100 players to the block list. Among the visitors, there will be a handful who need something from you. This may be some request or question, or they may simply wish to share some information. Initially, five visitors in Festival Plaza will have some request for you, but upon reaching Rank 11, there will be six. All visitors in Festival Plaza show a whisper when you are near enough to them, but for those with requests, the whisper is colored purple. Upon completing a request, you will be rewarded Festival Coins. Festival Coins (also known as FC) are the currency used within the Festival Plaza. You can earn coins by taking on requests from people who visit your Plaza, and by hosting and joining missions. Participating in global missions will dole out the highest amount of FC, see below. This computer connects you to services that require an internet connection, like Battle Videos and Game Sync. Here you can go for information about the Festival Plaza. Here you can get information about global missions. You can use this service to talk to a particular visitor. Here you can switch the order of facilities. Your Festival Plaza can have a maximum of seven facilities. Each has a rank of ★ to ★★★★★ and offers different services depending on their rank. You start with six facilities and can get new facilities as reward for raising your Festival Plaza rank, and by hosting facilities from visitors. If you don't have room for any more facilities, you must either replace an existing one or decline the new one. The facilities you start with and get rewarded with are random (including their rank) and differ per player. Hosting facilities from visitors becomes available to you at Festival Plaza rank 8, and can be done by asking a visitor "Do you know any good facilities?". They will respond with their favourite facility, which you can then add to your own Festival Plaza at the cost of FC. Facilities can generally be used once a day. For goody shops, food stalls, and bouncy houses, this means that each item or service they offer can only be purchased once a day. Inside the castle in the center of Festival Plaza, you can talk to the man in the back-right to remodel Festival Plaza. This allows you to swap the positions of shops. The facility that appears first (rightmost from the castle entrance) is classified as your favorite and thus will be recommended to other players if they ask about any good facilities. 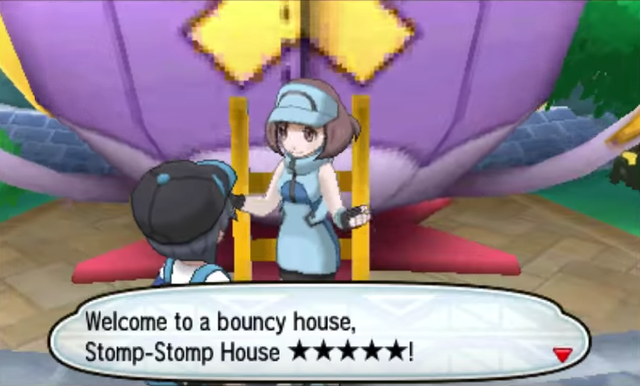 At a bouncy house, you can EV train your Pokémon. At a dye house, you can change the color of white fashion items. You can choose to buy dyes, or dye with Berries you've collected. You can also redye any item you have previously dyed. 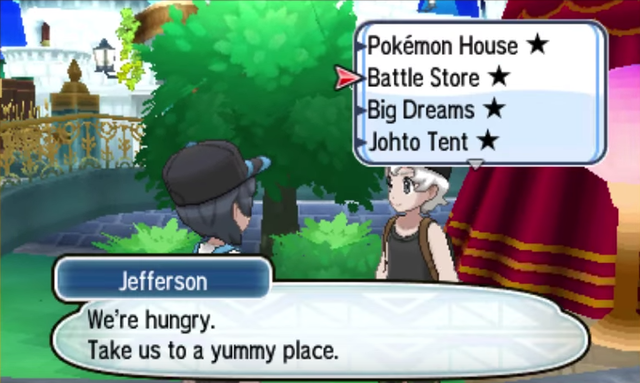 At a food stall, they can give your Pokémon food to rapidly raise it. At a fortune-teller tent, the fortune teller can suggest at which facilities you may have luck. This may be described as "decent", "good", or "pretty good" luck. If the fortune teller says you will have luck at a lottery shop or haunted hause, then you may receive a better outcome at the suggested location than you would have before hearing the fortune. The fortune teller will also give you a phrase to "bring you luck". This phrase will be added to your repertoire of phrases you can use to customize your messages in your Festival Plaza profile settings. They are added to the Common Phrases category. At a goody shop, you can buy items for a good price. At a haunted house, you can earn items if your Pokémon reaches the goal. At a lottery shop, you can win prizes by drawing a lottery ticket. It is also possible for the player to randomly earn a bonus drawing, resulting in two prizes. Making use of a lottery shop is free, but can only be done once a day. 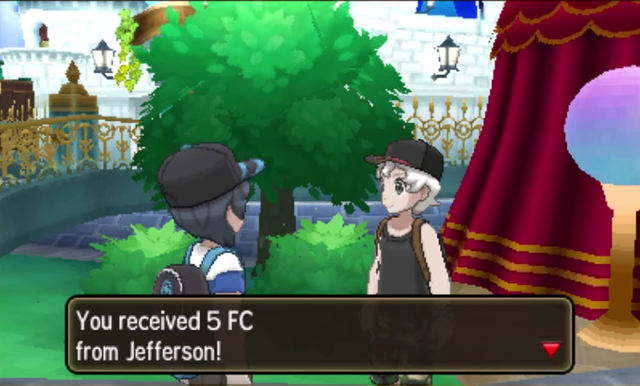 When your Festival Plaza goes up to rank 4, you will be able to host and join missions. A mission is a game you play with others online in the Festival Plaza. These missions have various goals that have to be reached within a certain time limit, like talking to visitors who fit a certain condition, or correctly answering questions of visitors. For example, during the mission "Japanese lesson!" it is your goal to talk to visitors who say something in Japanese. During "Type matchup test" missions, visitors will name one or two types and you have to answer which type is strong against those. Each correct visitor or answer rewards you with one point. You don't lose points for talking to the wrong visitor or giving the wrong answer. If you run out of visitors to talk to, talk to the lady in front of the castle to get new visitors. During a mission you can view the time limit, your individual score, the amount of participants, and the total score of all participants on the bottom screen. At the end of the mission, you will see the scores of all participants and are rewarded with FC based on your own score and the total score together. The "Type matchup test" and "Inverse type matchup test" missions reward the most FC of all the missions. To join a mission, you can talk to the lady in front of the castle, who will show you a list of available missions to join in. If a mission is ongoing, it is also shown in a red scrolling bar on your bottom screen. Click on the bar to join the mission. To host a mission, you need a Festival Ticket. You receive three of these each day from the lady in front of the castle, and you sometimes also receive one by going up in Festival Plaza rank. Talk to the same lady to host a mission. Choose a mission you want to host from the list and the mission will start. You also join in this mission yourself and receive FC for it. Global Missions are limited-time events in which all players around the world receive a shared mission via Festival Plaza. These Global Missions will be held at regular intervals. To participate you don't need to be a Pokémon Global Link member, but if you are you will earn double the FC for participating and sometimes certain bonuses, such as Rare Candies and special Poké Balls. Catch a lot of Pokemon! Find Pokémon using Island Scan! Trade Pokémon at the GTS! Get BP at the Battle Tree! Hatch a lot of Eggs! Fish Pokémon at rare spots!